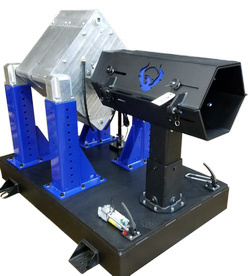 The Phoenix Dynamometer Category of Universal, Heavy-Duty Transmission Test Stands (UTTS’s) are designed to test applications ranging from industrial trucks and autos, buses, military, and OHV’s. Our transmission test stands incorporate technologically advanced motor & drive pairings to offer superior AC motor control performance. 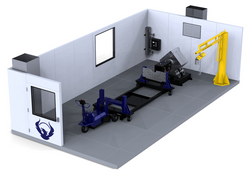 State-of-the-art equipment options often enhance the value of our custom built systems. This includes dyno test stands, fuel measurement modules, jacket water coolers, fuel delivery systems, emissions analyzers, data acquisition and control systems, test cells, water recirculation systems, HVAC systems, exhaust extraction systems. LightSpeed™ is the intuitive, scalable and customizable software program that will accommodate even the most extreme testing needs for the fraction of the cost, compared to other similar products. 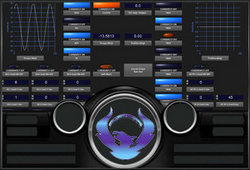 The software is based on the open and non-proprietary National Instruments control technology platform. 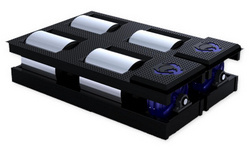 Complete test cells are designed, engineered, delivered and supported by Phoenix. 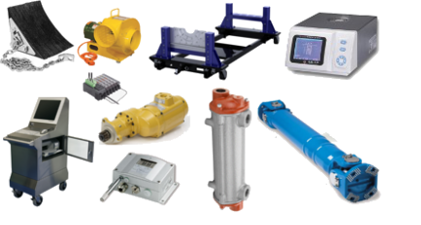 Our turnkey dynamometer test installations include provisions for exhaust ventilation, HVAC, vibration dampening, sound attenuation, water recirculation, water cooling, and more.